Our cardio kickboxing (Hit Fit) is the most efficient fitness class format that science can design. Cardio Kickboxing burns an average of 600 calories each session and keeps the metabolism up for at least 30 hours after class burning an additional 600-800 calories after class. Benefits of Hit Fit include getting great results in weight loss and cardiovascular fitness in combination with learning and growing through training. It’s also fun and fresh; classes constantly vary to prevent a fitness plateau so it never becomes stale! 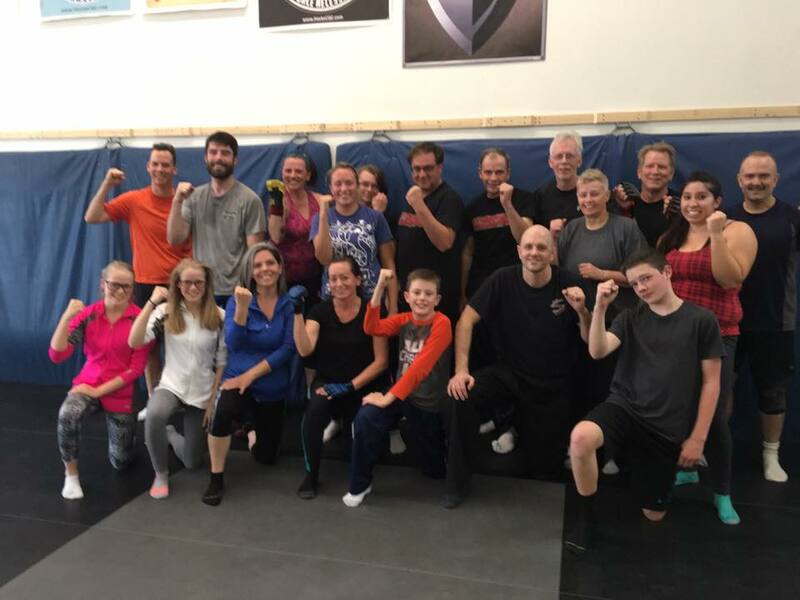 Synergy Martial Arts & Fitness offers you over 16 hours of bag-smashing, heart-pounding workouts every week with some of the nicest people you’ll ever meet! We invite you to come in and try it out! Call 303-650-5566, and mention ‘online special’, to receive FREE gloves when you set up your introductory classes! Book two introductory classes and receive FREE training gear with the first class (while supplies last).